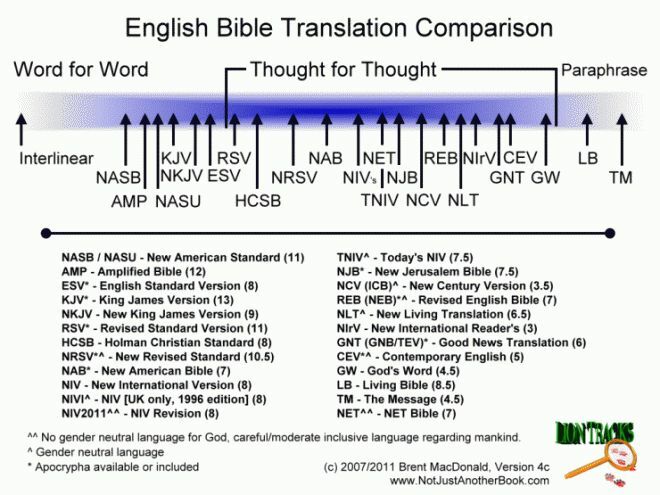 of various versions of the Holy Bible. I thought you might find this interesting too. The Bible is a great book to read. It is known as the bestselling book of all times. 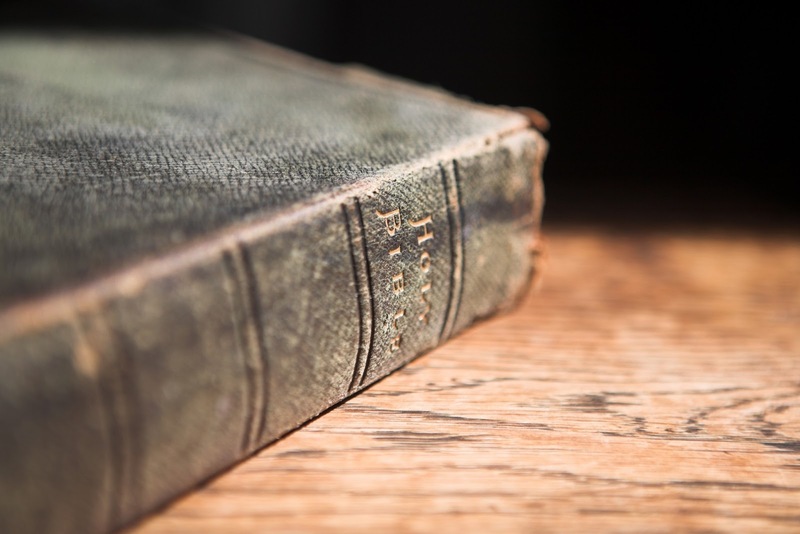 Actually, I believe the Bible is more than a typical book. It is a living word from God. That is, it is sacred tool God uses to speak to us. If you read the Bible prayerfully, God speaks to you. Time in the Word is a conversation with God. 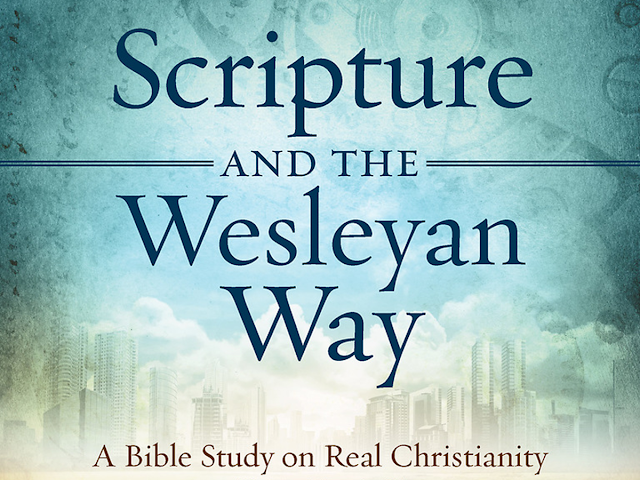 All books can speak to us in some sense, but God speaks to us in the Bible in a special way. It’s amazing how fast the years go by. One minute you're a kid excited to be starting preschool or kindergarten and it seems like it will be an eternity before you graduate high school. But the years go by so fast and before you know it you've gone through elementary school, middle school, and high school and your graduating. Then maybe you've finished college and gotten your first job or you're getting married or having kids and then your own kids are graduating high school! The older I get, the faster it seems the years go by! This is the time of year high school students graduate and begin a new phase of life as young adults. They are excited and maybe a little apprehensive about what lies ahead. Parents are proud, but also full of bitter sweet emotions--seeing their babies grow up, happy and excited for them, but also maybe a little worried and sad to let them spread their wings and leave the nest. 7 I will praise the LORD, who counsels me; even at night my heart instructs me. 8 I keep my eyes always on the LORD. With him at my right hand, I will not be shaken. 9 Therefore my heart is glad and my tongue rejoices; my body also will rest secure, 10 because you will not abandon me to the realm of the dead, nor will you let your faithful one see decay. 11 You make known to me the path of life; you will fill me with joy in your presence, with eternal pleasures at your right hand. Can we just take a moment and, as the Psalm suggests in verse 7a, just praise the Lord for all He has done? Parents, you've survived changing dirty diapers and crying babies, the terrible twos (when your precious angel baby turned into a diabolical demon child)! Somehow, you managed to keep food on the table and the bills paid when there never seemed to be enough money to make ends meet! You taught them to drive and they didn't crash a die in burning ball of flames! You survived boyfriends and girlfriends and arguments over prom dresses and makeup. And, through it all, you had the joy and pleasure of holding this precious life in your hands and nurturing them and learning from them and being challenged by them because they are so much like you and yet so distinct from you! Graduates, you managed to grow from a baby who had to learn to use the toilet to learning the ABC and how to write and math and algebra and geometry and maybe calculus! And you survived history and English literature and writing essays and countless pop quizzes and finals and SATs. And you managed to deal with parents who love you so much but just don’t really fully understand your life and the new times we live in! Can we all just pause for a moment, just to praise God for being with all of us every step of the way! Just close your eyes (or keep them open and look up to the heavens) and shout "Thank You God! You have been so good to me!" And if you’ve been walking with the Lord, if you’ve let Him be with you through it all, He's now incorporated into your heart—into everything you are, the way you think, the way you act. You don’t even have to think about it, any more than you have to think about breathing or making your heart beat. Have you ever noticed that when you go to sleep, you don't have to remember to breathe? It's just keeps happening. And you heart keeps right on beating. And the Psalmist says, “Even at night while I sleep, my heart instructs me.” If you've let Jesus into your heart, his Holy Spirit instructs you every step of the way, and you don't even have to think about it. Graduates, as you go off to your next adventure, you take with you all you have learned from school, from your parents and teachers and friends and your church. It’s part of who you are now. You need not worry about the unknown that may await you. You’ve prepared. Our thoughts and prayers go with you, but not only that. A part of all that has loved you and nurtured you and cared for you goes with you. It is now part of who you are. Parents and family, friends and loved ones, church, you have invested in your young ones so faithfully. Your wisdom and experience goes with them, as does the Lord. So take heart and have faith. Do not worry or be anxious (it wouldn’t do any good anyway). But in everything give thanks and praise to God for what He has done and give your cares and concerns to the Lord in prayer. We can all go forth with confidence, thanking the Lord for all we have shared with one another, trusting that each graduate has the wisdom and character to make the right choices in the days to come. Verse 8-9 – Keep your eyes on the Lord. Keep your eyes on the Lord. Remember what you have learned. Remember the Lord and His ways and what He has done for you. For you! And so walk with Him. You will grow and mature. Your faith may change as you gain more knowledge and wisdom, but faith need not be shaken. Only let your childish ideas grow up and change if needs be, but never lose your childlike faith and trust in Jesus. Verse 10 – For God will never abandon you. God will never leave you or forsake you. Never. “For God loved you so much, He sent His one and only Son that whoever believes in him shall not perish but have everlasting life. God did not send His Son to condemn the world, but to save it.” And Jesus went so far to save you as to lay down his life for you on the cross. And so, Jesus will never leave you or forsake you. He goes with you! This is a promise that gives hope and assurances to graduates and parents and to all who truly trust in the Lord! For nothing—not even death—can separate us from the love of God through Christ Jesus our Lord. So take courage and rejoice! All of you! For if God is for us, who can ever be against us? We had five high school students from my church graduate this year. I’ve known each of them for many years. I met Rachel Ward when she was only 10-years-old (one year younger than my youngest daughter is now). She has worked in the church nursery for several years, loving kids and serving the Church. I'm so proud of the caring and thoughtful young woman she's become. JC McDonald was also about ten when I first met her. I will always remember how she invited me to come to her elementary school to for a special program to show pastors what they were learning. She is also a fine young lady. Twins, Meredith and Ward Barber, started coming to my church when they were in middle school. They wanted to join the church along with their mother and older sister. So we had a crash course in what it means to be a Christian and they made their professions of faith and joined and then came back a few months later to go through our formal confirmation classes. I was a chaplain for Ward's middle school football team. I was at many of the Beta Club and Honor Society meetings with Meredith because two of my children were also in those programs. I'm so proud she is now graduating as valedictorian of her high school. I had the privilege to help sponsor Will Maddox to attend a Chrysalis weekend spiritual retreat. Two years ago, Will's family lost their home to a fire in the middle of the night. Will's sister had to leap to safety from the second story window. She survived, but with a broken pelvis. And Will was such a caring big brother to her while she was in the hospital and as she recovered through physical therapy. These graduates' parents, who brought them to church each Sunday, wanted the same for them as I have--that they would know the love of God and trust Jesus and have eternal life. I hope they have listened to us and taken to heart what we’ve offered. If so, it is part of who they are and will steer them down the path of life, if they obey. 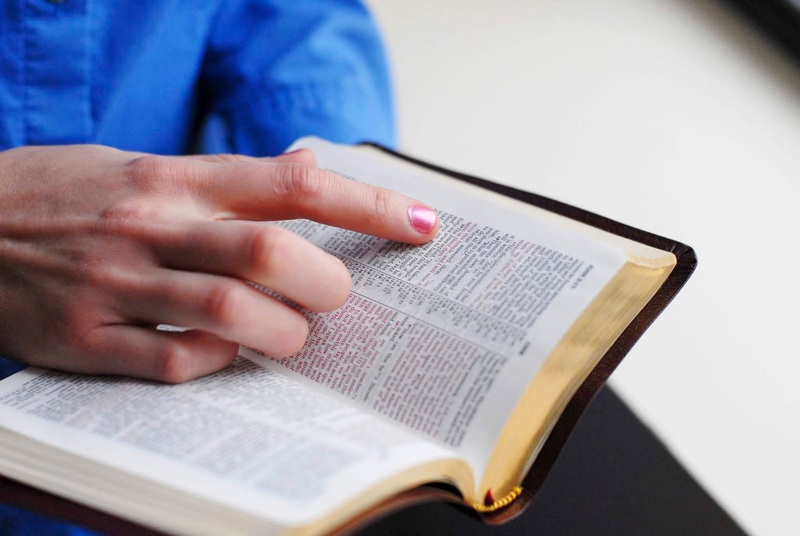 The Word of God, the Bible, is readily available to each graduate and to us all. 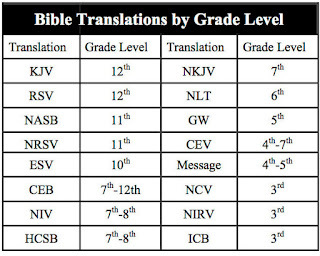 Most people have many copies of the Bible (if you need a Bible contact me and I will give you one). The Bible it is readily available on the internet at biblegateway.com, on your smart phones, you can even listen to the Bible on an app while you are driving in your car. And these words of Scripture are the Living Word of God—the Word of Life. They are a conversation with your Creator. They can continue to steer you down the path of life if you will listen to them. But will you? I started reading my Bible every day when I was a senior in high school. Each night, before I went to bed, I would read one chapter. However, when I went to college, I faced a dilemma. My first year in the college, I lived in a dorm with a room mate. And my first night there, I found my self laying in the bed thinking, "Am I gonna pick up my Bible and start reading? My roommate's gonna think I'm some sort of Bible-thumping, religious fanatic." And then I saw my roommate reach over and grab his Bible and start reading! So my dilemma was solved and I continue my habit of reading a chapter of scripture from the Bible every night until I read through the entire thing. Graduating from school is a momentous transition. It is a great time for graduates to start a new and healthy spiritual habit. It's also a great time for their parents to do the same. Actually, anytime is a great time to start a new and helpful spiritual practice. 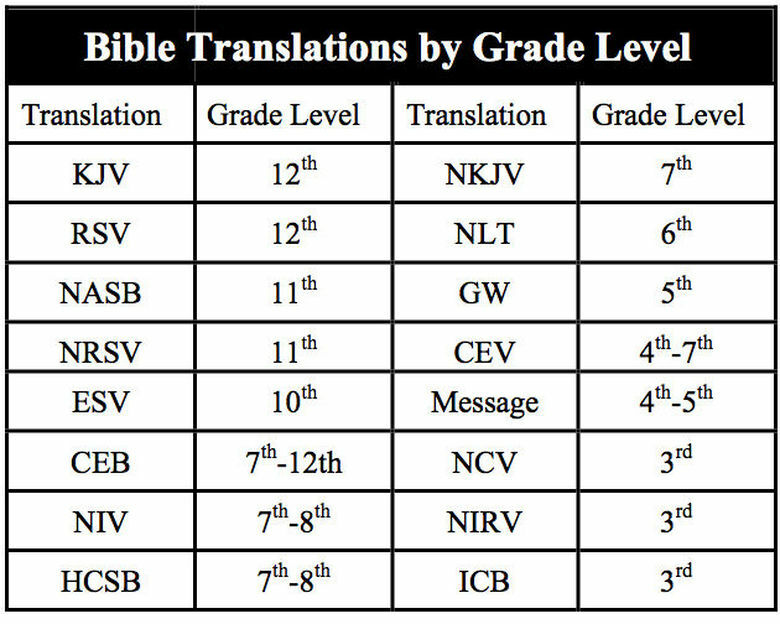 So I would like to issue a challenge--to parents, to graduates, to everyone--why not start reading a chapter from your Bible each night. And cut yourself some slack. You're probably not going to understand everything you read and that's OK. Reading the Bible is not about getting and understanding more information. It's about spending time with your Creator--the one who designed you and breathed life into you and Who loves you and desires more than anything to spend time with you and be loved by you. When you pick up your Bible and read, you are in the presence of God and His words pour into your heart and become part of who you are without you even knowing it. Then, no matter where you go or what you do, as the Psalmist says, God will counsel you in your heart, make known the path of life, and fill you with the joy of His presence and the eternal pleasures of His right hand. Will you take the challenge to read one chapter of your Bible each night before you go to bed? Advent is the season Christians prepare for Christmas and the coming of Christ. This year for Advent, I decided to do something different to prepare spiritually. I paraphrased the biblical story of Christ's birth in my own words. It was an insightful exercise. Let me share my method. First, I selected the Gospel passages I wanted to use. Then I arranged them in chronological order. Next, I copied the passages from the New Revised Standard Version (NRSV) into the left column below. Then, I made a column on the right side to hold my own paraphrase. I put a column in the middle for notes--footnotes from the NRSV and any notes about my own paraphrase. 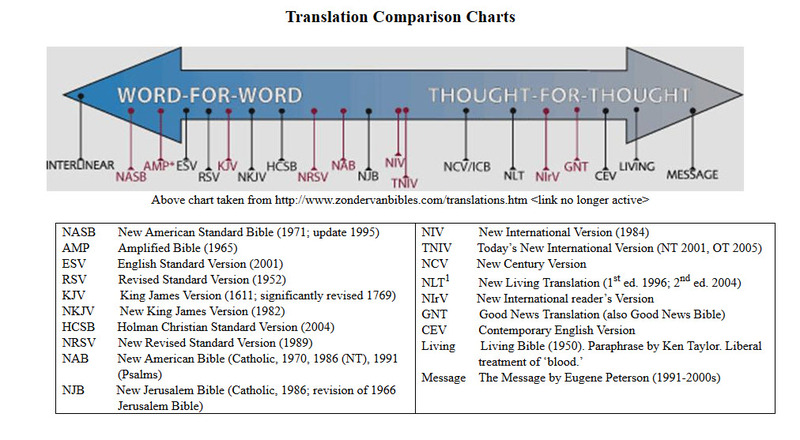 I worked mainly from the NRSV to create my paraphrase. However, I also consulted the Message, the New Living Translation, the New International Version, and the King James Version. 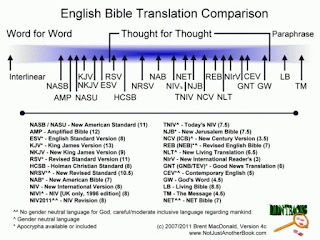 I also consulted the original Greek on a number of occasions using the word study function on my Olive Tree Bible App. Working on this paraphrase gave me a deeper understanding of the events associated with birth of Christ. It also gave me knew respect for the work of biblical scholars who translate the Bible from the original languages or who paraphrase the Bible into their own words. Most of all, it was a humbling and spiritually enriching endeavor. I prayed often for God to guide me and speak to my heart as I pondered the meaning of each passage and thought of how I would say it in my own words. I share the results with you below. 1 In the beginning was the Word, and the Word was with God, and the Word was God. 2 He was in the beginning with God. 3 All things came into being through him, and without him not one thing came into being. What has come into being 4 in him was life,a and the life was the light of all people. 5 The light shines in the darkness, and the darkness did not overcome it. 10 He was in the world, and the world came into being through him; yet the world did not know him. 11 He came to what was his own,c and his own people did not accept him. 12 But to all who received him, who believed in his name, he gave power to become children of God, 13 who were born, not of blood or of the will of the flesh or of the will of man, but of God. 14 And the Word became flesh and lived among us, and we have seen his glory, the glory as of a father’s only son,d full of grace and truth.15 (John testified to him and cried out, “This was he of whom I said, ‘He who comes after me ranks ahead of me because he was before me.’”)16 From his fullness we have all received, grace upon grace. 17 The law indeed was given through Moses; grace and truth came through Jesus Christ. 18 No one has ever seen God. It is God the only Son,e who is close to the Father’s heart,f who has made him known. 1-5 The Word was the very beginning. The Word was there in the beginning with God. The Word is God. He brought everything into existence. Nothing came to be without him. He brought life, the light of life to everyone, everywhere. His light shines out in the darkness and the darkness doesn’t have a chance. 6-9 God sent a man named John to point people to the light so they would know who to trust. John wasn’t the light; he was just there to point to the light. THE LIGHT, which makes it all clear for everyone, was about to come into the world. 10-13 He came to the very world he made, but the world didn’t recognize him. Most didn’t want anything to do with him, even though they were his own handiwork. But anyone who welcomed and trusted him realized they were God’s children--not the results of some biological conception, but--chosen by God as his very own. 14-18 The Word became human in every sense, living alongside us and experiencing everything we do. We saw his glory, the glory of the only son God ever conceived. He was so full of grace and truth. (John told people about him, saying, “He’s the one I was talking about when I said, ‘The man who’s about to come is so much more important than me because he existed long before I was even a thought.’”) He gave us so much undeserved love from his never ending supply. Moses gave us the rules to follow; Jesus gave us grace and truth. No one has ever seen God directly; but if you’ve met Jesus, it’s the same exact thing. 26 In the sixth month the angel Gabriel was sent by God to a town in Galilee called Nazareth, 27 to a virgin engaged to a man whose name was Joseph, of the house of David. The virgin’s name was Mary. 28 And he came to her and said, “Greetings, favored one! The Lord is with you.”g 29 But she was much perplexed by his words and pondered what sort of greeting this might be. 30 The angel said to her, “Do not be afraid, Mary, for you have found favor with God. 31 And now, you will conceive in your womb and bear a son, and you will name him Jesus. 32 He will be great, and will be called the Son of the Most High, and the Lord God will give to him the throne of his ancestor David. 33 He will reign over the house of Jacob forever, and of his kingdom there will be no end.” 34 Mary said to the angel, “How can this be, since I am a virgin?”h 35 The angel said to her, “The Holy Spirit will come upon you, and the power of the Most High will overshadow you; therefore the child to be borni will be holy; he will be called Son of God. 36 And now, your relative Elizabeth in her old age has also conceived a son; and this is the sixth month for her who was said to be barren. 37 For nothing will be impossible with God.” 38 Then Mary said, “Here am I, the servant of the Lord; let it be with me according to your word.” Then the angel departed from her. 26-27 In the sixth month of Elizabeth’s1 pregnancy, God sent the angel, Gabriel, to visit a virgin named Mary in a town in Galilee called Nazareth. Mary was engaged to Joseph. 28-29 When Gabriel found her, he said, “Greetings! God wants to give you something very special!” Mary was so confused and didn’t know what to think of this strange encounter. 38 Then Mary surrendered and said, “I am the Lord’s servant. I will do whatever He wants.” Then the angel left her. which means, “God is with us.” 24 When Joseph awoke from sleep, he did as the angel of the Lord commanded him; he took her as his wife, 25 but had no marital relations with her until she had borne a son;j and he named him Jesus. 19-22 Mary’s husband, Joseph, was an upstanding and compassionate man. He didn’t want to endanger Mary or her reputation. He was considering how to break off the engagement secretly without making a scene when the Lord’s angel spoke to him in a dream! 24-25 When Joseph woke up, he did what the Lord said through the angel in his dream. He took Mary to be his wife, but he didn’t lay with her until after her boy was born. He named him Jesus. 36 There was also a prophet, Annat the daughter of Phanuel, of the tribe of Asher. She was of a great age, having lived with her husband seven years after her marriage, 37 then as a widow to the age of eighty-four. She never left the temple but worshiped there with fasting and prayer night and day.38 At that moment she came, and began to praise God and to speak about the childu to all who were looking for the redemption of Jerusalem. 1-7 This all happened while Caesar Augustus was making a list of everyone he could tax in the Roman Empire. This was the first census when Quirinius was governor of Syria. Everyone had to go to their family’s hometown to register. Joseph had to travel from Nazareth in Galilee to his ancestor David’s hometown, Bethlehem, which is in Judea. His fiance, Mary, went with him even though she was nearing her due date. While they were in Bethlehem, Mary went into labor. She had a baby boy, her very first child, and wrapped him up in a blanket. She put him in a manger because there wasn’t enough room in the inn. 8-9 There were shepherds nearby guarding a flock for the night. God’s angel came to them in a glorious light and the shepherds were terrified. 15-20 When the angels were gone, the shepherds discussed it. “Let’s go to Bethlehem right now and see what this is all about.” So they ran and found Mary and Joseph, and the baby lying in a manger. When they saw it was all true, they told everyone they could find what they’d heard about the baby. The story amazed everyone, but Mary quietly wondered about the story in her heart. The shepherds went back to their work, praising and glorifying God for all they had seen. It was just as the angel proclaimed. 21 The child was circumcised when he was eight-days-old. They named him Jesus, the name the angel gave before he was conceived. 25-26 There was a very good, devout man in Jerusalem at the time. Simon was full of the Holy Spirit and patiently waiting for God to comfort His suffering people. The Holy Spirit had assured Simon he would not die without seeing God’s chosen Savior. 36-38 The prophetess Anna was also there, the daughter of Phanuel from the tribe of Asher. Anna was very old. She was only married seven years when her husband died and then she lived eighty-four more as a widow. She worshipped and fasted day and night and never left the temple area. As Simeon was speaking, Anna joined the group and started praising God and she told everyone in Jerusalem who was looking for redemption about the child. 7 Then Herod secretly called for the wise menz and learned from them the exact time when the star had appeared. 8 Then he sent them to Bethlehem, saying, “Go and search diligently for the child; and when you have found him, bring me word so that I may also go and pay him homage.” 9 When they had heard the king, they set out; and there, ahead of them, went the star that they had seen at its rising,a until it stopped over the place where the child was. 10 When they saw that the star had stopped,b they were overwhelmed with joy. 11 On entering the house, they saw the child with Mary his mother; and they knelt down and paid him homage. Then, opening their treasure chests, they offered him gifts of gold, frankincense, and myrrh. 12 And having been warned in a dream not to return to Herod, they left for their own country by another road. 1-2 Jesus was born in Bethlehem of Judea when Herod was king. Astrologers (called Wisemen or Magi) from a foreign land far away in the East came all the way to Jerusalem asking, “Where can we find this child who was born to be the king of the Jews? We saw a star rise in the eastern sky that signaled his birth. We want to worship and adore him. 3-4 King Herod was very disturbed to hear this, along with everyone in Jerusalem. He summoned all the most important Jewish priests and scholars and asked where God’s Chosen Savior was supposed to be born. 9-12 After speaking with King Herod, the eastern astrologers started out for Bethlehem and the star was right there leading the way straight to the child. They were overjoyed when the star stopped above the child’s home. They came in and saw him with his mother. They knelt reverently and worshipped him. They opened their treasure chests and gave him gold, frankincense, and myrrh. Since they were warned in a dream not to go back to Herod, they took a different road back to their home in the East. because her children are dead and gone. 40 The child grew and became strong, filled with wisdom; and the favor of God was upon him. 40 The child grew big and strong and was very wise; and God helped him every step of the way.